An honest early review. Presenting Weather Witch #1 Weather Witch by Shannon Delany. Its an intriguing premise and a plot of some good potentials but unlucky .... as I got confused with it after the starting chapters. Its not the plot per see but the way the story is written that left me befuddled from the start, making me go back every few pages to actually see in whose point of view this is happening (it changes a lot). Shannon Delany is an amazing author and i'm not mis-crediting her plot but the way it is presented really did it a disservice to the author. Set in 1844 Philadelphia, there are weather witches who control the... well the weather. But being marked a witch is never good for social standings of a person and its a disaster waiting to happen if you are from a wealthy aristocrat family. This is Jordan Astrea's story. She is accused of being a weather witch and taken away to Holgate to be made. While Jordan maybe full of attitude, it is her persistence throughout the story and how she faces the challenges hurled at her, always keeping a level head. Thats what mattered. Still I would have loved it more if it wasn't such a mess of different point of views. I'd say maybe give it a try.... you might find something in it that I didn't. 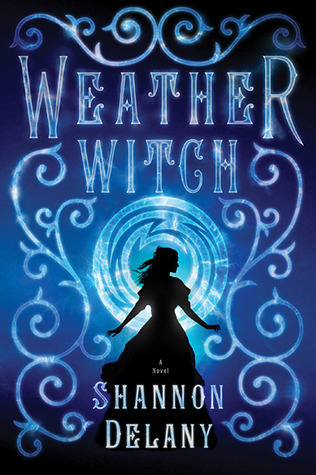 "Weather Witch provides an okay tale of an alternate Philadelphia where witches are very much real"